“Thank you so much for being extremely understandable and unfailingly cheerful….I appreciate that you did all that could be done on my behalf” Feedback for Liz Hebden, from family client. “Due to the nature of my case being quite lengthy and drawn out, Liz and her secretary Janice became like an extended family to me. I am so pleased with the outcome. Thank you so much for all the hard work and the time you have put into my case/house. I would have no hesitations in recommending Liz and indeed AWB Charlesworth Solicitors.” Feedback for Liz Hebden, from Family and Property Client. Sept 2017. “Dear Katie, Just a brief note of thanks for your excellent work on our behalf with my mother’s estate and our own wills. We were both impressed with your pleasant, efficient and helpful manner.It was a pleasure doing business with you and you will certainly be our first choice for any further legal issues which may arise in the future.Very best regards, Paul and Pat Langham” Private Client. August 2017. “Liz was extremely helpful and efficient in dealing with the sale of our house. Like many other properties it wasn’t the easiest to sell but she coped very calmly with the issues that cropped up and got us there in the end”. Charles Wilson, Property Client. August 2017. “Dear Julie, We were more than satisfied with the service from you. You kept us up to date through the whole process and were very pleasant to deal with. Thank you for all your help. Kind regards David and Angela George” Residential Property Client, August 2017. “We used AWB Charlesworth Bingley office for our house conveyancing and Liz Hird did a fantastic job. She was very thorough and kept us up to date with progress up to completion. Liz subsequently introduced us to Katie Ingham who has prepared our Will and Power of Attorneys. I would have no hesitation in recommending AWB Charlesworth for these services.” John and Hazel Leach, Property and Private Client. August 2017. “Roger extended a real, genuine family approach to my stressful situation- he was entirely sympathetic and always kept me up to date with progress etc. I was recommended to Roger by a friend, and I have since recommended him to 3 of my other contacts- and will continue to do so!” Martine Illingworth, Wills, Trust and Probate Client, May 2017. “From start to finish I was put at ease by David throughout what was a tough time, I was kept informed right to the end of proceedings, the ultimate professionals.” Alison Harwood, Litigation Client, May 2017. “Having decided to prepare both wills and Lasting Powers of Attorney, Jenny discussed all the details with us, the pros and cons, and made sure we were clear about what was involved and the best way to proceed. She was always courteous, friendly and efficient and expedited them in a timely manner, with clear communications throughout.” Mr and Mrs Golding, Wills, Trusts and Probate Client. April 2017. “Many thanks for your services Liam. Job well done for both Wills and LPA. Just to let you know that we will readily recommend AWB Charlesworth to anyone in search of a solicitor, and you in particular for wills, trusts and probate”. Frank and Sandra Goad, Wills Trust and Probate Client. April 2017. “I would just like to say a huge THANK YOU Roger for all your help and guidance following the death of my dad, for the excellent work you have done sorting out his estate and the issues that arose during this time. All the best for the future and once again thank you!”, The Lodge Family, Wills, Trusts and Probate Client, April 2017. “Victoria was very helpful, very understanding, and very trustworthy. I instructed Victoria to update my will and found her to be extremely knowledgeable and prompt in getting back to me. I already have recommended Victoria to others and will continue to do so”. Mavis Richardson, Wills, Trust and Probate Client. April 2017. ” Andrew Foulds always got straight back to me with regards to my enquires throughout my Divorce and Marriage. He was extremely professional and courteous through a very difficult time; offered advice and suggestions which were never imposed upon me. He was extremely diplomatic at all times.” Michael Ellison, Family Client. September 2016. “I contacted Jenny Barron in the Wills, Trusts and Probate team after many years of using AWB Charlesworth. I found her personal manner to be excellent and she kept me informed on the progress of my matter on a regular basis. My daughter will be returning from Denmark later on this year and we will be requiring AWB Charlesworth’s Property services, so we will most definitely be in touch and wouldn’t hesitate to recommend Jenny and the team.” Alan Lund, Wills, Trust and Probate Client, April 2017. “Very fast and efficient service, very helpful and polite staff and much to my surprise the final fee was less than the original quotation. Very happy to recommend AWB Charlesworth and David Tear to others”. Angela Fan, Litigation Client. June 2016. “Mark was extremely efficient, and found all the missing information required quickly. I would highly recommend Mark and AWB Charlesworth Solicitors.” Gillian Wiseman, Wills, Trusts and Probate Client. August 2016. “James continually helped me to understand complex areas of the lease terminology clearly and concisely throughout the process. He took responsibility of managing 3rd parties involved with the lease and ensured that they were dealt with in a professional manner allowing me to focus my attentions on the project of managing the business move. I have worked with several departments of AWB Charlesworth over the last few years and the service James provided was yet again as expected- professional and knowledgeable.” Glenn Broadwell, MD Belvoir Sales and Lettings, Commercial Property Client. May 2016. “Alan is always approachable, open, honest and prompt in returning calls. I would highly recommend his services, and in fact already have done to my brother-in-law who is looking to purchase a house.” Rashid Khan, Residential Property Client. August 2016. “Victoria listened very carefully, took copious notes and was extremely accurate in the information she provided. We had lots of questions about Powers of Attorney, which she explained clearly and simply to us. One of the best solicitors I have been to.” Mr & Mrs Bryant, Wills Trusts and Probate client, September 2016. “Elizabeth, I just wanted to say thank you so much for the professional manner in which you dealt with my divorce. You gave excellent advice and I felt very supported through such a difficult time. You were always jolly and positive and I found it very easy to talk to you about sensitive matters. You are an asset to your firm.” Anon, Family Client. September 2016. “Susan worked on my behalf on my Will, Probate and Lasting Power of Attorney. She dealt with everything efficiently and the whole process ran very smoothly. I would have no hesitation to recommend Susan and AWB Charlesworth to others.” Lesley Hazard, Private Client. August 2016. “Superb, very personalised service. Umberto really went the extra mile to get to know our company (Teacher Horizons) and our needs. He was also keen to provide the best value for money possible for us. What I liked the most about Umberto’s approach was the way he took time to explain complex shareholding issues in a way that someone with no legal training could understand. Highly recommended service. I’ll be using Umberto and AWB again”. Alexis Toye, Teacher Horizons, Commercial Client. December 2015. “Excellent and efficient. A great team at AWB with a strong combination of sound advice, coupled with good old fashioned Yorkshire values and a prompt seamless service. They have handled my family’s affairs with compassion and sensitivity. They gained my trust to the extent that despite me not living that near I have moved all my own affairs to them. In a world where you often battle with indifference and incompetence it was refreshing to deal with the AWB team. Liam, Declan and Sally, thank you.” Jean Mehers, Wills, Trusts and Probate and Property Client. July 2016. “Just a quick email to thank AWB Charlesworth for your help in producing 3 new employment contracts. Umberto and Charlotte Gooch couldn’t do enough for me and were always at the end of the phone if I had any concerns or queries regarding these contracts. Very professional at all times and I would certainly recommend your firm.” Lionel Lockley, Employment Client. September 2016. “Roger has been my Solicitor for over 3 years now after I was recommended to him by a Solicitor friend who was retiring and also my Financial Advisor. His service has been nothing short of exemplary and I would certainly recommend Roger and AWB Charlesworth as a Practice”. Donald and Margaret Wood, Wills, Trusts and Probate Client. August 2016. “My experience with Andrew Foulds at AWB Charlesworth Solicitors has been excellent. A very professional and friendly company who didn’t just give me advice but also gave me lots of support throughout (sic) my case. Would highly recommend AWB Charleworth to anyone and everyone!” Natalie Stevens, Family Client. February 2016. “The job was done efficiently by Martin and I am highly delighted with the outcome once again. I will be coming back soon with another transfer.” David Molloy, Property Client. August 2016. “Dear Sally, everything seems to have gone so well with your superb guidance. We are very grateful to you for the great way in which you have managed the Trust over the years and in particular the splendid advice and multifarious calculations to conclude the sale and distribution”. Michael Green, Wills, Trusts and Probate Client. August 2016. “We have been very happy with James Dunn as our Property Solicitor and his responsiveness and efficiency in conducting property matters on our behalf.” Gareth Wooler, RN Wooler, Commercial Property Client. September 2015. “We would like to thank Victoria for her courteous, efficient and understanding of our needs. Well done and good fortune.” Mr and Mrs E. R . Hogg, Wills, Trusts and Probate. July 2016. “Fiona did an excellent job under difficult circumstances- she persevered and kept us informed throughout the whole process. I absolutely will be back in touch with AWB Charlesworth soon to make a will. Many thanks.” Mr J.R and Mrs M.E Sunderland, August 2016. 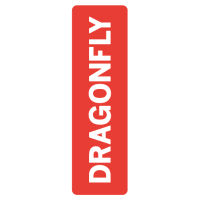 “Dragonfly Contracts Ltd have been in business for 10 years. In that time we have occasionally needed assistance from David with regards to contractual issues and we have always used AWB Charlesworth Solicitors for these services. We have been very impressed by their service, knowledge and advice. We would have no hesitation in recommending AWB Charlesworth for your legal assistance.” Simon Daffy, Director, Dispute Resolution Client. December 2015. “Thanks Declan and for your excellent work getting the date finalised on the house move when seemingly nobody else would.” Andy Kyle, Residential Property Client. July 2016. “Unlike some Solicitors, Victoria listened, explained things clearly and had a really down-to-earth approach”. Colin and Elaine Meredith, Wills, Trusts and Probate Client. August 2016.